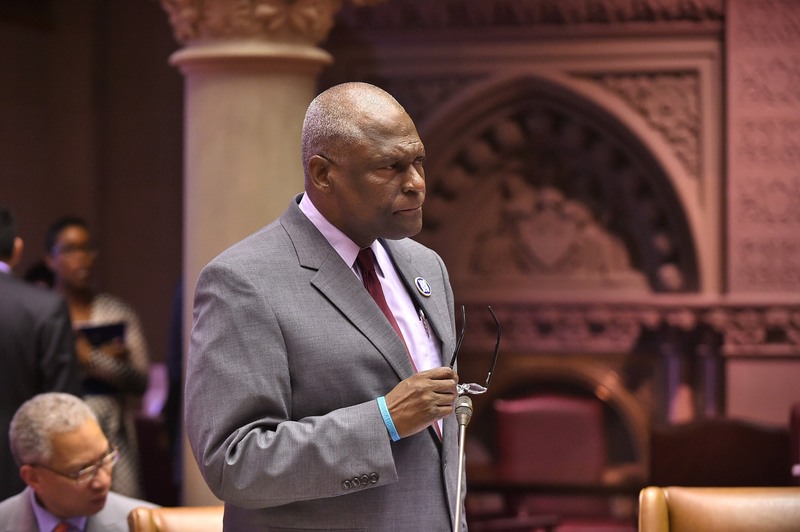 In his current capacity as Chair of the Housing Committee, Assemblyman Wright has maintained his commitment to ensure the preservation of programs that provide critical services to neighborhoods across the City of New York as well as those geared at empowering and increasing higher education and employment opportunities for underrepresented communities and at-risk youth. He has also authored numerous pieces of legislation to strengthen the rights of tenants against unscrupulous landlords. Assemblyman Wright’s priorities cover a wide variety of issues, among them: a fair minimum wage; the DREAM Act; improving access to historically underrepresented industries for women and minorities; raising the age of criminal responsibility so that 16 and 17 year olds will no longer be inappropriately prosecuted as adults in New York State; and, access to quality education for all children. A graduate of Rutgers Law School and Tufts University, he credits his parents for teaching him the importance of strong values, commitment to community and defense of civil rights.